As Portugal’s capital city, Lisbon is a vibrant and attractive city with much to entertain the visitor whether you are staying for a day, a week or more. As a thriving metropolis, it would be easy to remain within the pretty urban sprawl that defines the city limits. However if time permits, it is well worth taking the time to explore outside the city centre. Away from Lisbon centre, a wealth of opportunities, sights and adventures await. From the historic city of Sintra to the lush green hills of the Sintra-Cascais National Park, there is plenty to entertain the inquisitive visitor. But what if you simply want to take a little time out to lay back, relax and feel the sun revitalise you with a healthy shot if Vitamin D? The Lisbon coast is the perfect place in which to do this, and the Lisbon beaches are surprisingly accessible as soon as you leave behind the bustling city centre. 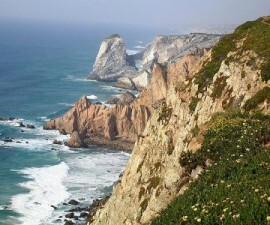 Set on the mouth of the Tagus River, Lisbon provides access to the north to the beaches of Estoril, Cascais and beyond. To the south, meanwhile, a series of quieter but no less attractive beaches awaits. While many European cities are effective sun-and-city locations, Lisbon has the honour of being the only capital to occupy such a fortunate position. Travelling along the Lisbon coast to the north-west brings you to the popular resort of Estoril. Estoril has a glamorous reputation, having played host to many members of the international aristocracy over the years. It saw its heyday during the Second World War, when it attracted a fascinating combination of spies, royals, artists and landed gentry. There are also some great golf courses nearby and a trip to the casino is a must. Estoril offers three excellent beaches – Tamariz, Poca and Azarujinha, each with their own identity despite their proximity on the resort’s sandy coastline. Tamariz is the beach on which the casino is set, while Praia da Poca is well located with plenty of outdoor cafes and restaurants. 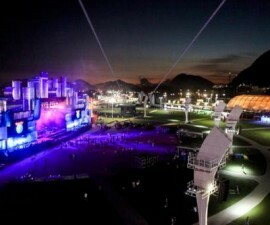 Azarujinha, meanwhile, is hidden from view and tends to be quieter than its two near neighbours. 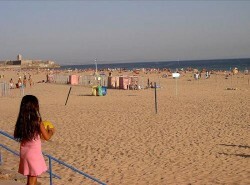 Before reaching Estoril you will pass through the quieter resort of Carcavelos. The beach here is larger and quieter than at Estoril, and it is a popular location for windsurfers and other water sports enthusiasts. Beware the Atlantic waves can be rather unforgiving here, but if you are a confident swimmer and an experienced surfer or windsurfer, it can make for a highly rewarding experience. Heading west from Estoril, you soon arrive at Cascais, the sophisticated town which is another former favourite of Portugal’s nobility. Indeed, it remains a popular choice for the international ‘jet set’ as well as a weekend retreat for successful city workers from Lisbon. 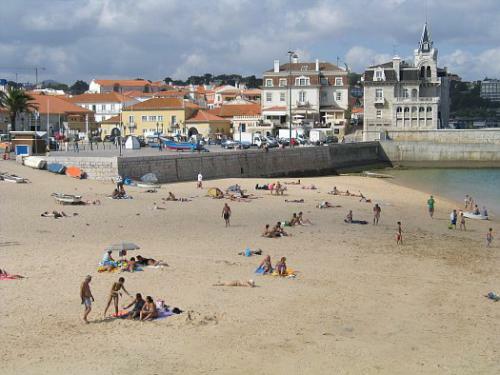 The main Cascais beach is the Praia da Ribeira, also known as the Praia do Pescador, or Fisherman’s Beach. Here you can watch the fishermen search for their catch in the shallow waters while you relax and soak up the sun. 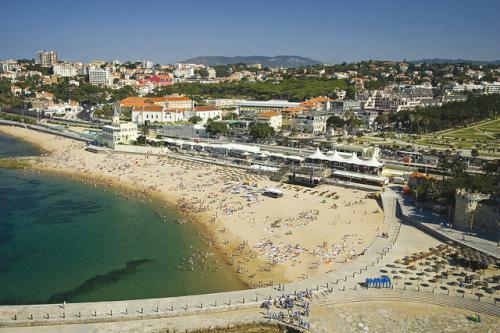 Other options for a trip to a Cascais beach include the Praia da Rainha, Conceicao Beach and the Praia da Duquesa. If you have a car and are keen to explore further afield, don’t miss the opportunity to continue northwest from Cascais beach. Here the landscape becomes more wild and rugged as the sandy beaches give way to rocky outcrops as you approach Portugal’s westernmost point at Guincho. The beach at Praia do Guincho is one of the best beaches in the area and is well worth the distance to enjoy the wide sands and water sports. 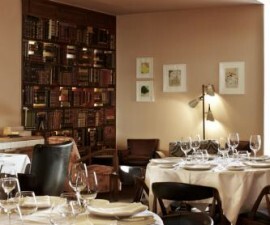 There are also some great hotels here if you are thinking about an overnight stay. Heading southeast from the capital provides another option for explore the Lisbon beaches. Just across the 25 de Abril Bridge which spans the river Tagus, lies the Costa da Caparica. This lovely stretch of Lisbon coast is quieter than its northwestern counterparts and makes the perfect getaway from the urban centre. Dunes, pine trees and golden sand characterise the area and there is even a nudist beach should the temptation appeal! One of the benefits of the south eastern Lisbon coast is its proximity to the city centre. It is possible to hop on a bus from Praca de Espanha to Caparica, and from here there is a beach train service which calls at all the major points along this stretch of Lisbon coastline.